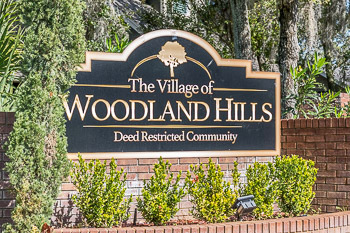 Village of Woodland Hills and Deer Run at Woodland Hills is a popular deed restricted community of well maintained real estate properties centrally located in Palm Harbor, FL. 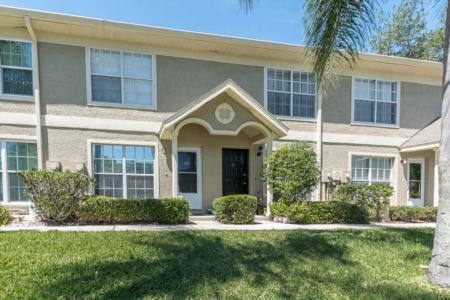 Nestled back to a preserve east of US Highway 19 just north of Tampa Road on Lake St. George is the beautiful Village of Woodland Hills, with single family homes for sale attractive to many types of families in the area. With three and four bedrooms, garages, spacious yards, community pool, playground, recreation building, and tennis courts, it's no wonder kids and parents alike love living here in Woodland Hills. 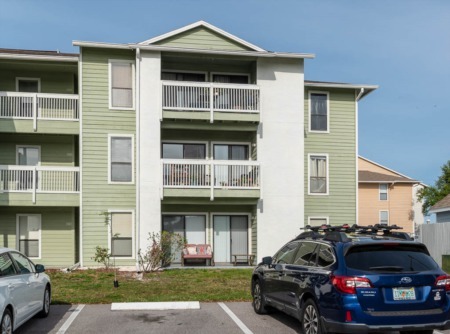 With moderate prices, the homes of Woodland Hills offer character from 1400 square feet to well over 2000 square feet of bright open living space. While some homes offer ceramic tile and others hard wood floors, and some offer a den or extra bedroom and others a screened lanai, one of the sure things here in Woodland Hills is that the neighborhood offers the scenery of manicured lawns, mature trees and landscaping, and the quaint personality feel of a neighborhood that has grown since it was built in the late 1980s. Woodland Hills is close to all shopping, top rated schools, restaurants, entertainment, and just minutes to the sunny beaches of the Gulf of Mexico, and if you have time, choose from a vast variety of beautiful parks to spend some time grilling, entertaining, biking, skating, walking, playing games and sports, or just relaxing. Selling your home in Woodland Hills? Many of your neighbors may have sold their homes recently and this is a good time to sell. We have ready, qualified buyers interested in your neighborhood. Please give us a call to discuss your needs with us. We will be happy to answer your questions. You can also reach us using the contact form below.